In this guide, we will learn the LinkedHashSet class implementation of the Set interface with examples. LinkedHashSet Class is a Hash table and linked list implementation of the Set interface, with predictable iteration order. This implementation differs from HashSet in that it maintains a doubly-linked list running through all of its entries. This linked list defines the iteration ordering, which is the order in which elements were inserted into the set (insertion-order). This guide covers all the important LinkedHashSet class APIs with examples. How to make LinkedHashSet thread safe? Java LinkedHashSet class is a Hash table and Linked list implementation of the Set interface. Contains unique elements only like HashSet. Provides all optional set operations, and permits null elements. Note that it maintains insertion order. set.forEach(str -> System.out.println("LinkedHashSet does "
Remove all elements belonging to a given collection from a LinkedHashSet. Iterate over a LinkedHashSet using Java 8 forEach and lambda expression. Iterate over a LinkedHashSet using iterator(). 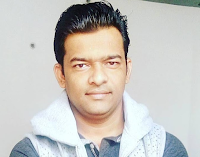 Iterate over a LinkedHashSet using iterator() and Java 8 forEachRemaining() method. Iterate over a LinkedHashSet using a simple for-each loop. This example shows how to create a LinkedHashSet of user defined objects and it maintains insertion order. 7. How to make LinkedHashSet thread safe?